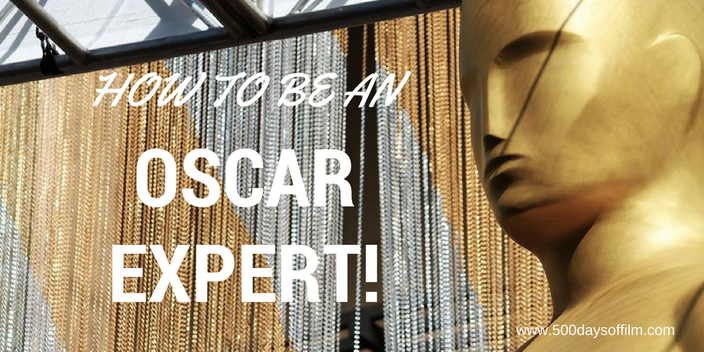 How To Be An Oscar Expert! 500 Days Of Film Reviews 35 Academy Award Facts That Are Guaranteed To Turn You Into An Oscar Expert! The 89th Academy Awards take place on Sunday 26 February. The days leading up to this event will, of course, be filled with predictions and debate. If you are a film fan, this is your moment. This is the time when people look to you for fascinating facts and intriguing figures. For example, why is Oscar called Oscar? When was the first Academy Award ceremony held? Were the results always so closely guarded? How long is that red carpet? Just how tall is Oscar and what is he made of? If you want to impress your friends and family and sound like a true Oscar expert, check out these 35 fascinating Academy Award facts! 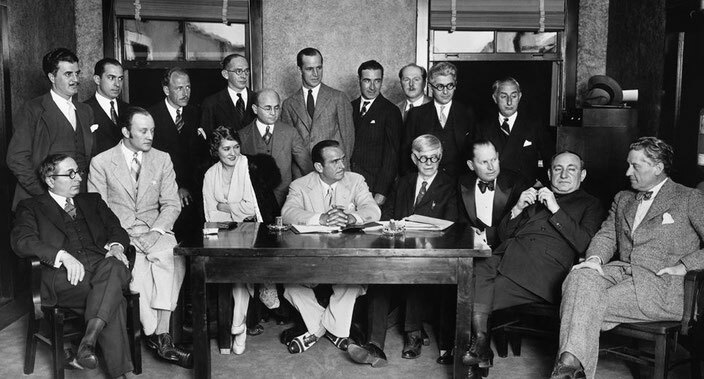 The Academy of Motion Picture Arts and Sciences was formed in 1927 in LA. The Oscar trophy was designed by MGM art director, Cedric Gibbons. The origin of the 'Oscar' name isn’t clear. However, according to a popular story, when Academy librarian (and eventual executive director) Margaret Herrick saw the trophy for the first time, she said that looked like her Uncle Oscar. The Academy didn’t adopt the nickname 'Oscar' officially until 1939. Oscar stands 13½ inches tall and weighs 8½ pounds. The statuettes are solid bronze and plated in 24-karat gold. 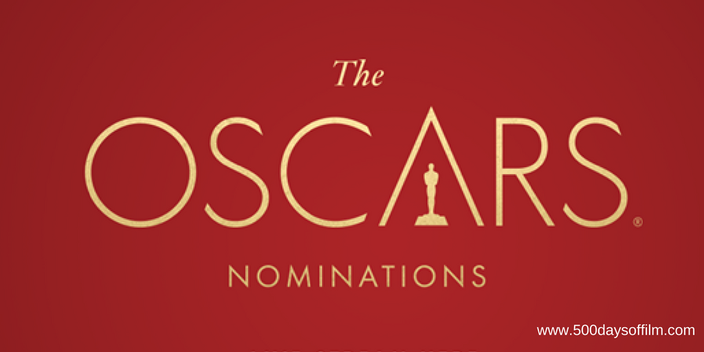 Oscar's film reel features five spokes, signifying the five original branches of the Academy: actors, directors, producers, technicians and writers. Due to a metal shortage during World War II, Oscars were made of painted plaster for three years. Following the war, the Academy invited recipients to redeem the plaster figures for gold-plated metal ones. It takes approximately three months to make 50 Oscar trophies. Emil Jannings was the first Oscar recipient. He was named Best Actor for his performances in “The Last Command” and “The Way of All Flesh” in 1929. There were 270 people at the first Academy Awards ceremony. Guest tickets cost $5 each. There have been 3,048 Oscar statuettes presented since the first Oscars. As of 21st December 2016, there were 6,687 Academy voting members. Membership in the Academy is by invitation of the Board Of Governors only and is limited to those who have distinguished themselves in the motion picture industry. Members representing the many professional areas within the motion picture industry are organised into 17 branches – Actors, Casting Directors, Costume Designers, Cinematographers, Designers (which includes production designers and set decorators), Directors, Documentary, Executives, Film Editors, Makeup Artists and Hairstylists, Music, Producers, Public Relations, Short Films and Feature Animation, Sound, Visual Effects and Writers. The current President of the Academy is Cheryl Boone Isaacs. The accounting firm of Price Waterhouse (now called PricewaterhouseCoopers) signed with the Academy in 1934 and has been employed ever since to tabulate and ensure the secrecy of the results. Achievements in up to 25 regular categories will be honored on February 26, 2017, at the 89th Academy Awards presentation at the Dolby Theatre at Hollywood & Highland Center. There were 336 features eligible for Best Picture this year. The winners at the first Academy Awards were announced to the public three months ahead of the ceremony. For the next decade, the results were given in advance to newspapers for publication at 11pm on the night of the Awards. However, in 1940, the Los Angeles Times broke the embargo and announced the winners in its evening edition (available to guests arriving for the event). As a result, the Academy adopted the sealed-envelope system. The most recent Oscar category is Animated Feature, which was introduced in 2001. Meryl Streep extends her lead as the most nominated performer this year with her 20th nomination. The estimated global viewership of the 89th Oscars Several is hundred million. The event will be telecast in 225 countries. There were 72 still photographers on the red carpet for the 88th Academy Awards. The first televised Oscar ceremony was in 1953. The longest Oscar telecast was during the 74th Academy Awards in 2002. The show's running time was 4 hours 23 minutes. The shortest Oscar telecast was in 1959 with a running time of 1 hour 40 minutes. The red carpet at the Dolby Theatre is approximately 900ft long and 33ft wide. Bob Hope hosted the most Oscar shows with 19 appearances. The Oscar trophies are normally delivered by common carrier. However, in 2000, only a few weeks before the presentation date, that year’s shipment of Oscars was stolen from the overland carrier’s loading dock. They were recovered a week later. Since then, the Academy has kept an additional ceremony’s-worth of statuettes on hand. There have been only three circumstances that prevented the Academy Awards presentation from going ahead as scheduled. The first was in 1938, when destructive floods all but washed out Los Angeles and delayed the ceremony for one week. Then in 1968, the Awards ceremony was postponed from April 8 to April 10 out of respect for recent assassination of Dr. Martin Luther King Jr. The Awards were also postponed for 24 hours because of the assassination attempt on President Ronald Reagan. What's Your Favourite Piece Of Oscar Trivia? Love them or loathe then, the Oscars fascinate all film lovers. What is your favourite piece of Oscar trivia? I'd love to know... why not leave me your Academy Award facts and figures in the comments section below!